When I first started blogging seriously, I found that to be able to update my blog regularly and to keep up with the other blogs that I like to read I had to create a routine, a process to follow. It is hard to maintain an interesting blog while having a full time job. It has been a struggle at times but once I got my routine right, everything went very smoothly. The key to it is to be very organized. I can happily say that that is a quality that I have and so it made this blogging thing much easier. So here is my blogging routine/process, hoping that I might help you find out your happy place when it comes to this blogging world. I have to start with this. It is not a first step but it is an essential object on everything related to blogging. If you are like me and prefer to take note of things on the phone let me tell you: you still need a notebook. In the beginning I used to use my phone but things just were not working out. Since I got this notebook, I have been much more organized. This notebook is from WHSmith. I created sections inside it for my ideas according to the subject: beauty, lifestyle or fashion. Having them organized that way makes it much easier to always write about something different instead of sticking to the same subject for three posts in a row – for me that can be quite boring. So this notebook has everything: ideas, notes and even my most used hashtags on instagram and twitter to promote my blog. Also, if I read some blog tips and similar things, I always have this notebook to hand to write all the important details that I cannot forget. Now, I cannot work on my blog without this notebook. Another thing I recently got into was filling in my Weekly Blogging Planner. It helps a lot having everything on paper. I found a printable, free planner on this blog called Designer Blog (Click here). It is amazing ! I am going to buy a folder, markers and all that stuff that I need this afternoon. Then I might write a post on how I organize this planner. You should definitely check it out. It is the best one I found! When I have a lot of ideas, I like to schedule them before I even start writing or photographing for that post. When scheduling, I not only choose the date but also create the blog post title and also the labels and things that I want to be included on the blog. It will save me some time afterwards when I am editing the final post. So basically, I schedule even before writing the post. If I have an idea for a blog post, I will write it down on my notebook as soon as possible and also schedule for when I want it to be posted. I post every other day of the week and so that means that I need to have at least four posts scheduled for the week. If not, I will start stressing out. So scheduling is now key to by blogging routine! When I know that I have a few things I want to write on the blog, I normally like to photograph before writing the post. And so I have one day or two per week were I take an hour or so to take photos of products or anything that I will need for those posts. I also edit them straight away and save them on my desktop and they are ready to be used. Then I know that I can even write the post on the day before as everything else is sorted. Much easier this way, I think! The camera I use is the Canon 600D with a 18-135 mm lens. To edit my photos I use the Adobe Photoshop Lightroom – it is easy to use and the photos look great! Now it comes the best but at the same time the most difficult part. Writing is my favorite part. I guess that it is because then I see the blog post turning into something real and not only and idealization of what I wanted it to be. And let me tell you that this is a great, an amazing feeling – like while I am writing this post now. It is a feeling of realization. Feeling proud to be creating something that I had an idea for, that I photographed myself and that I want to share with the world. Amazing. Before saving the post and publish it or schedule for a near future, I always read maybe two or three times the blog post. Also, I might ask my boyfriend to have a quick look at it as he is seeing it from a different perspective and so he can give me constructive criticism to improve my technique and the blog itself. This will make sure that any error will and should be detected prior to publishing it. There is nothing that I hate the most than publishing a post and when I am visiting my blog, noticing a mistake. We do not want that, right? As I have read somewhere recently, your blog will barely have any views without the social media nowadays. So this means that every post or update I do on my blog, I share on Twitter or Instagram. If I am not working on the day the blog post will be published, I will most likely share the post in real time. But if I am working a fourteen hour shift on the hospital there is no way I will even remember to share on social media so I have to schedule it. For that I use some apps on my phone I have been loving like Buffer for example. 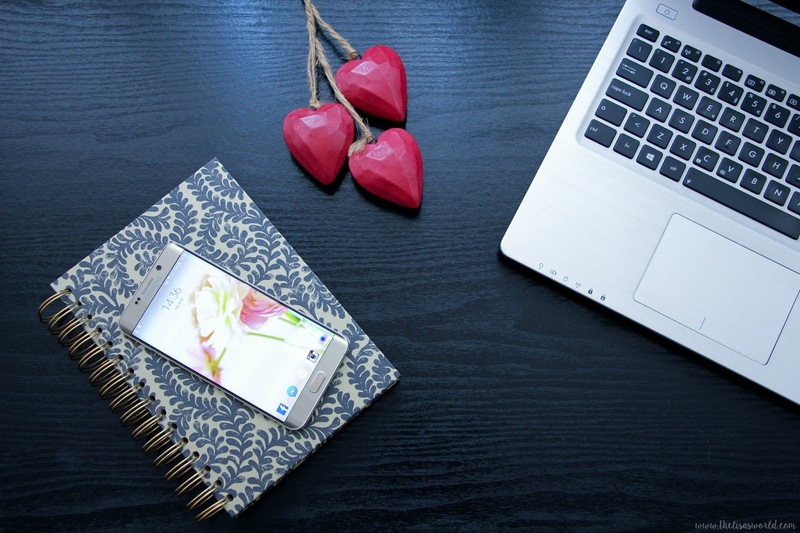 There are some great apps out there for bloggers. There will be actually a blog post about that coming soon so stay tuned! Last but not least, visiting the other blogs is a must do. And it is something I do every single day. I follow every blog I love on my Bloglovin account and that is the easier way for me to stay updated with their posts. So every day I take the time needed to go through my Bloglovin, read new posts and comment. Engaging with the blogging community is something I love to do and it is a key to give your blog more traffic but you don’t want to be a spammer! There is nothing that I hate the most than comments where you notice that people did not even took time to read your post. They are just commenting asking for you to follow them. I never agreed with that and never will. Showing interest is much more helpful and it gives the blogger some encouragement to continue with the good work. Don’t you think? Please, show some love to me and my fellow bloggers demonstrating that you actually read our posts, that you like the content. There is nothing more rewarding than that for a blogger – at least this is what I strongly believe. Do you have any more tips to stay organized and make all this blogging process much easier? Let me know!